In the tradition of Anne Lamott’s Bird by Bird, a critically acclaimed National Book Award finalist shares inspiration and practical advice for writing a memoir. Writing memoir is a deeply personal, and consequential, undertaking. As the acclaimed author of five memoirs spanning significant turning points in her life, Beth Kephart has been both blessed and bruised by the genre. In Handling the Truth, she thinks out loud about the form—on how it gets made, on what it means to make it, on the searing language of truth, on the thin line between remembering and imagining, and, finally, on the rights of memoirists. Drawing on proven writing lessons and classic examples, on the work of her students and on her own memories of weather, landscape, color, and love, Kephart probes the wrenching and essential questions that lie at the heart of memoir. 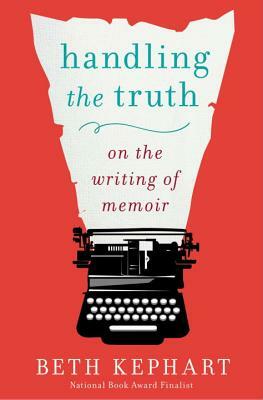 A beautifully written work in its own right, Handling the Truth is Kephart’s memoir-writing guide for those who read or seek to write the truth. Beth Kephart’s first memoir was a National Book Award finalist and was named best book of the year (1998) by several publications. Her subsequent four memoirs earned her additional acclaim and standing among memoir readers. A respected reviewer, essayist, and blogger, Kephart chaired juries for both the National Book Awards and the PEN First Nonfiction Awards. A veteran writing teacher, she currently teaches memoir at the University of Pennsylvania. "A marvelous primer for anyone who would dare to face the furies and write about his or her life. Beth Kephart has read the genre closely, put her own feet to the fire, and distilled the form with all the passion of a great teacher." —Marie Arana, author of the National Book Award finalist American Chica.